Cowan has labelled protestors targeting Sarah as 'bullies'. News 21 March, 2019 . Written by Isidora Durán Stewart. 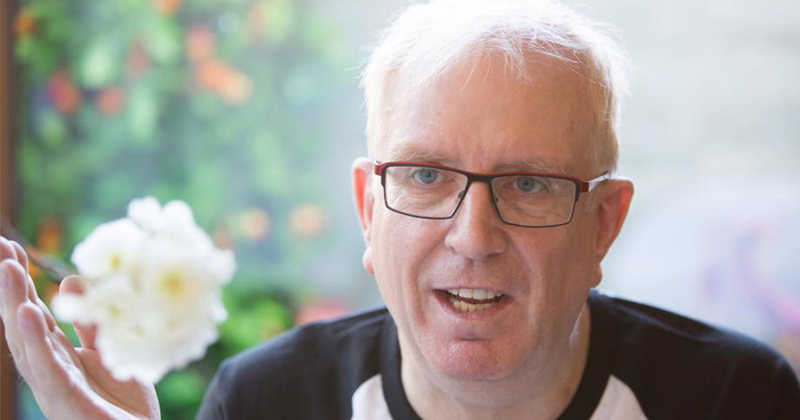 Star of Mrs Brown’s Boys and gay public figure Rory Cowan has defended Sarah McTernan amid a flurry of criticisms accusing her of supporting apartheid Israel in her decision to participate in this year’s Eurovision. Co. Clare native Sarah was chosen out of 430 hopefuls for her “distinctive voice” and is now preparing to perform the song ’22’ on behalf of Ireland at the 2019 Eurovision Song Contest. There have been calls to boycott this year’s Eurovision however, with protestors arguing that supporting the event in Tel Aviv is supporting Israel’s controversial role in the conflict with Palestine, viewing its participation in the contest as a “culture washing propaganda machine”. All welcome except Palestinians from Gaza or the West Bank. Don’t forget the Army you’ll be singing in front off have killed hundreds of children by single shot sniper fire. #BoycottEurovision2019 Please do not give this apartheid regime any cover for their human right abuses. Despite his objections to the backlash, Cowan maintains that he is not denying the atrocities being carried out amidst the conflict; rather, he questions its dominance over pressing human rights issues in public discourse. 21 March, 2019 . Written by Isidora Durán Stewart.